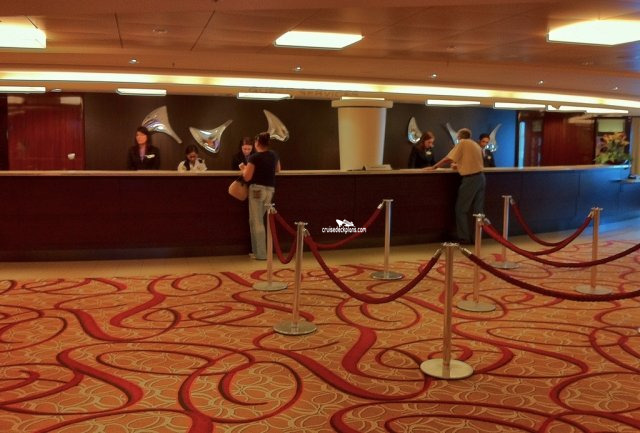 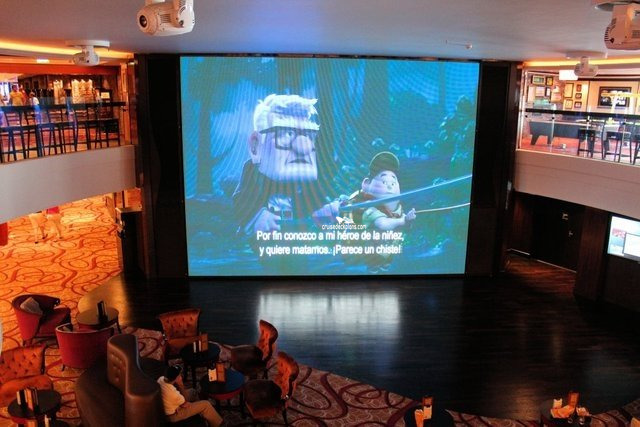 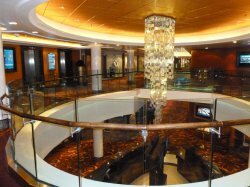 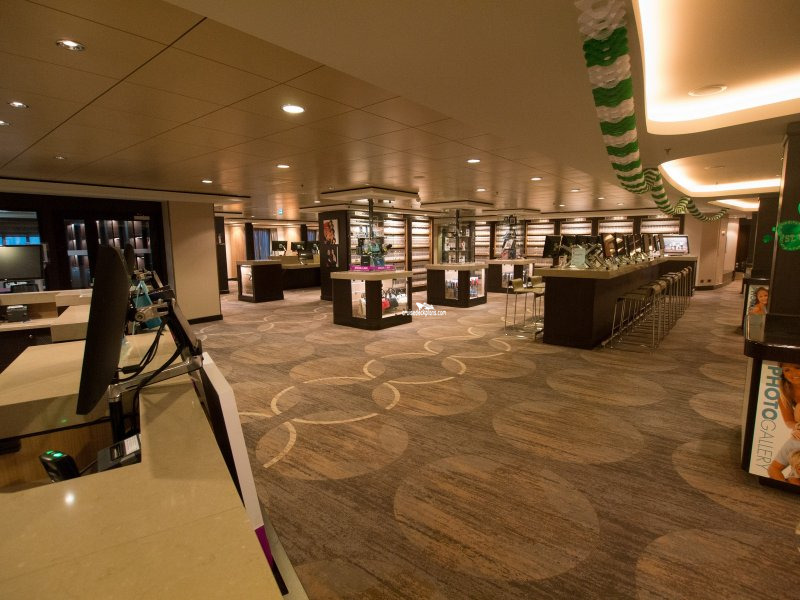 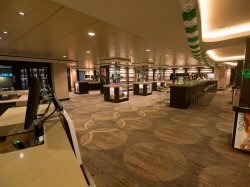 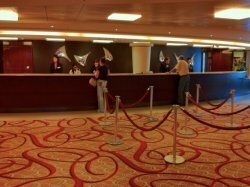 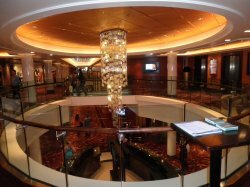 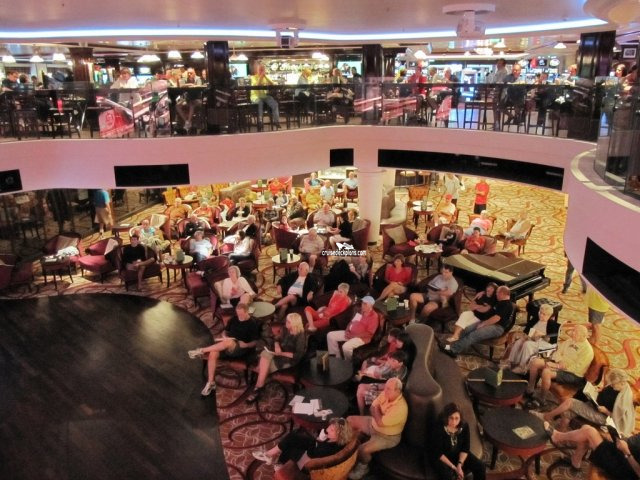 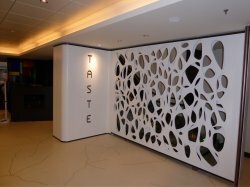 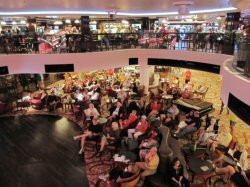 Home to the ship's main productions including the Legends in Concert featuring a regularly changing line up of the world’s best celebrity tribute acts performing live ranging from Rod Stewart to Whitney Houston, along with the Blue Man Group. 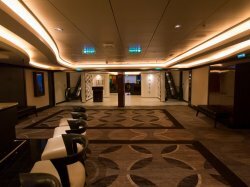 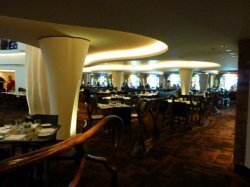 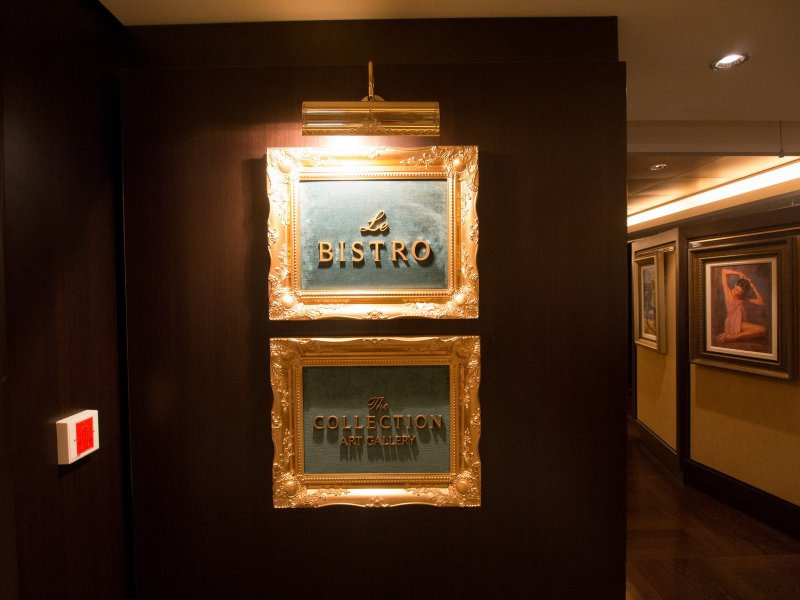 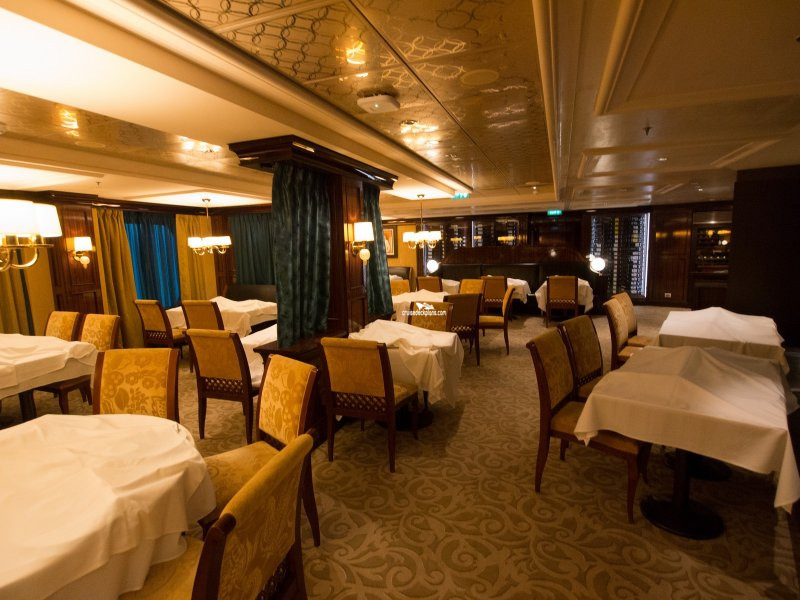 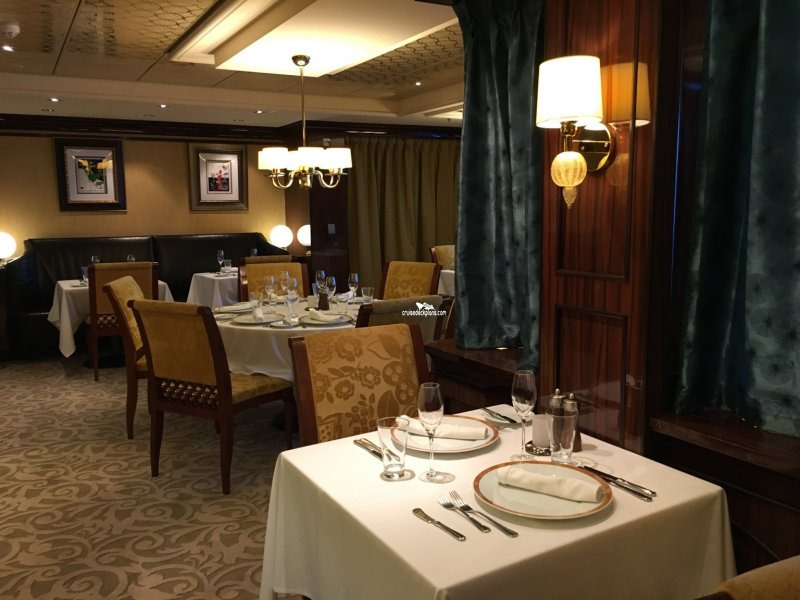 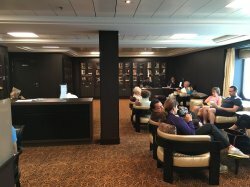 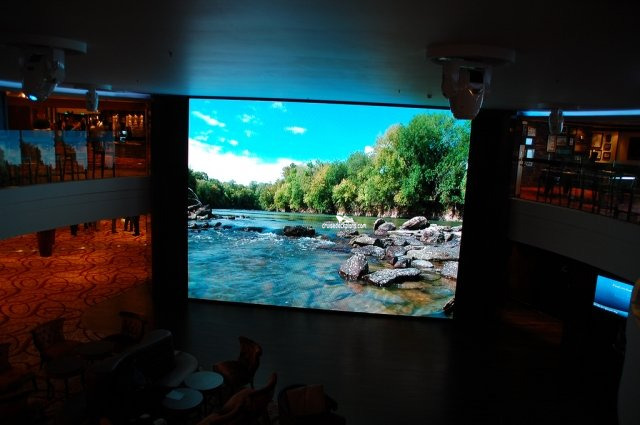 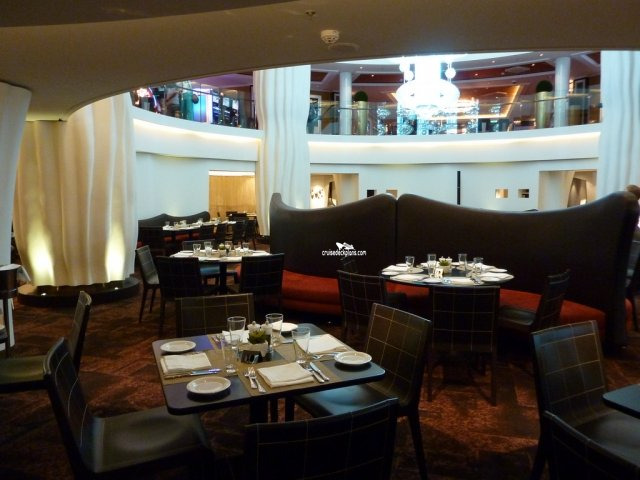 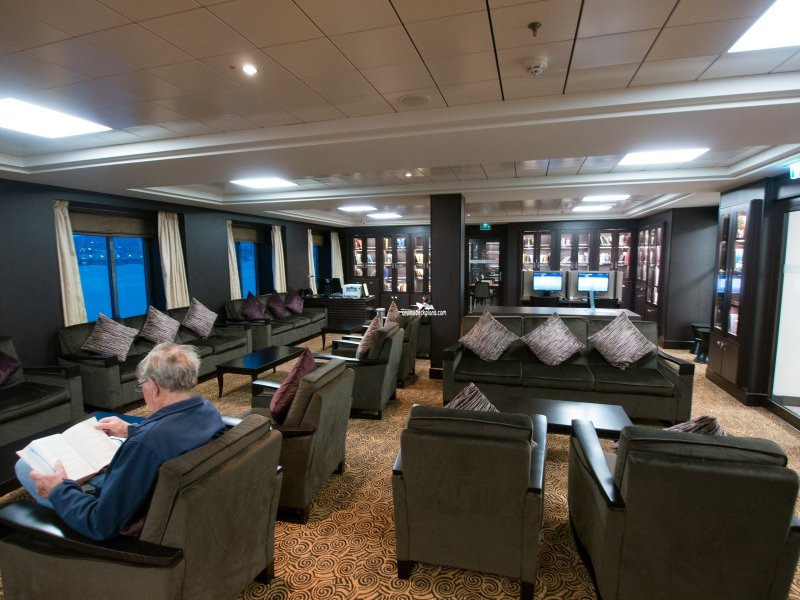 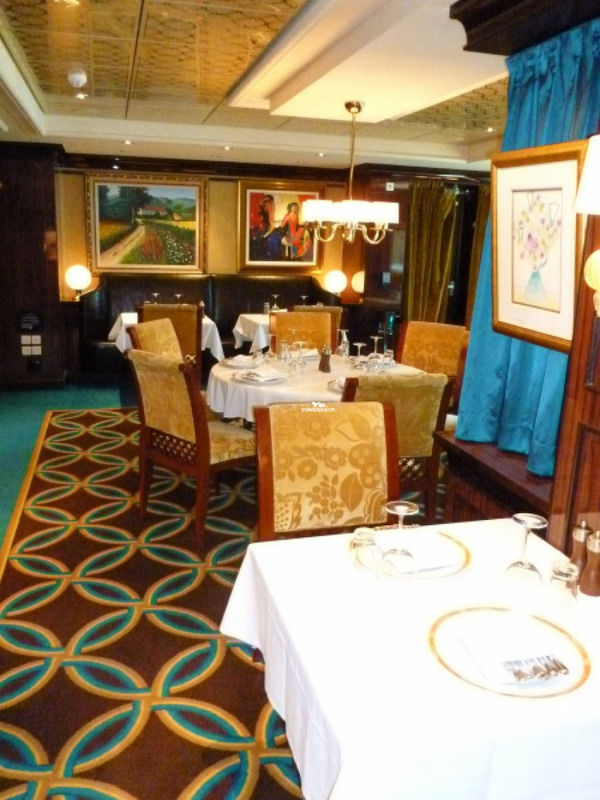 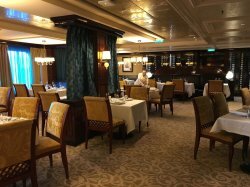 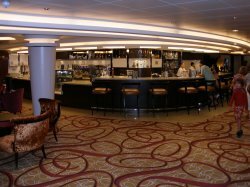 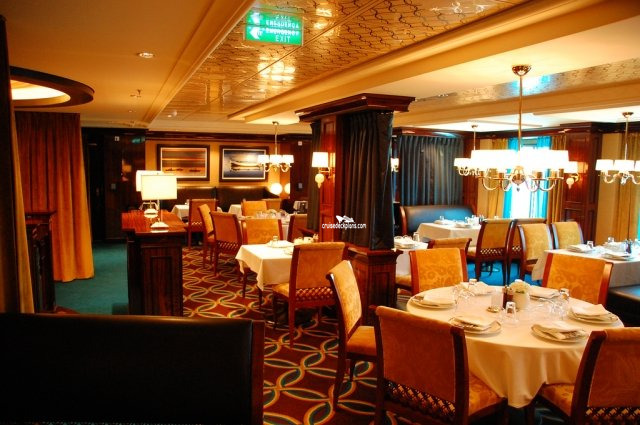 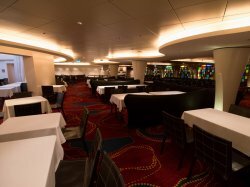 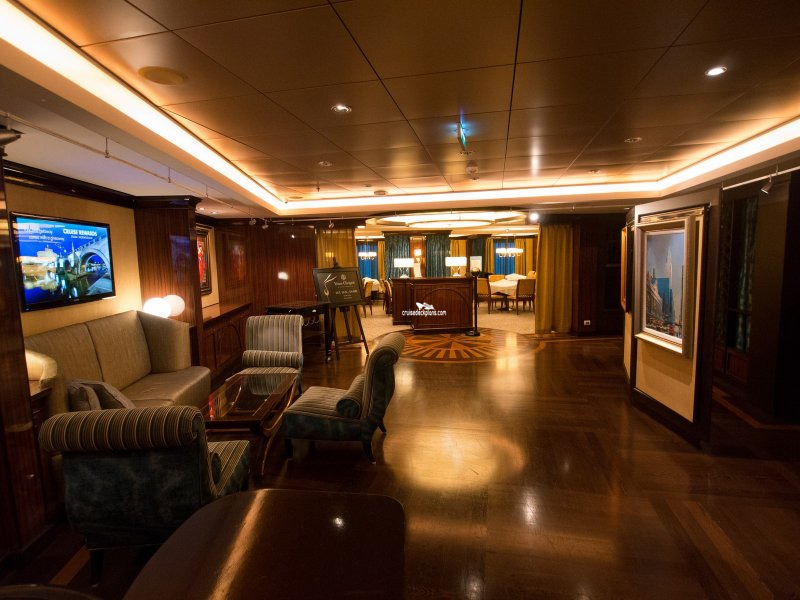 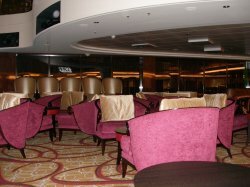 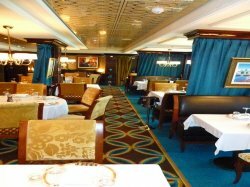 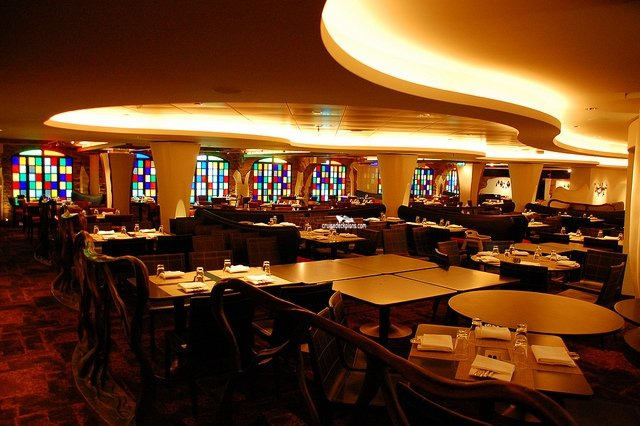 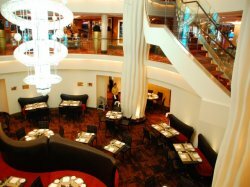 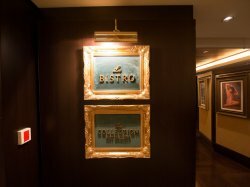 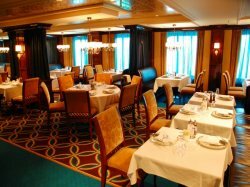 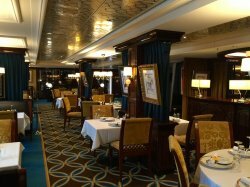 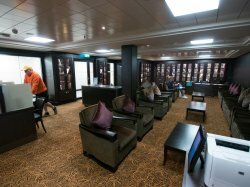 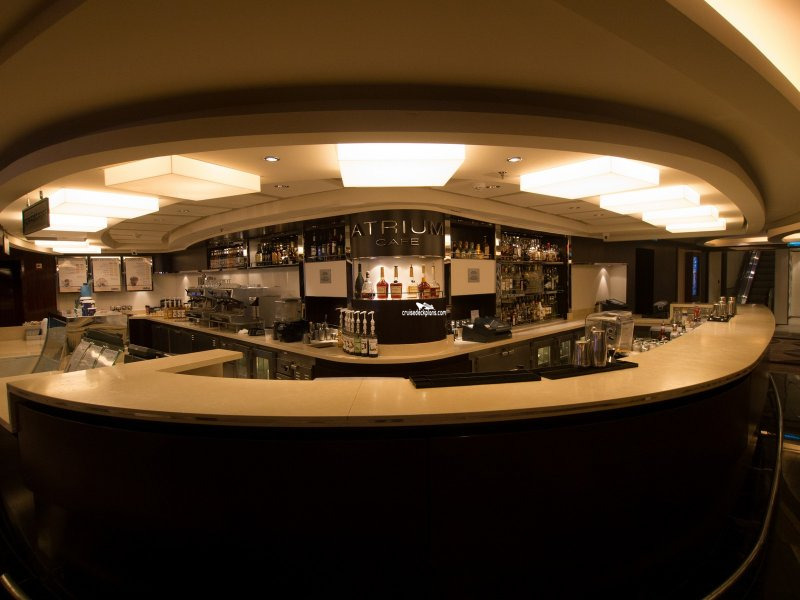 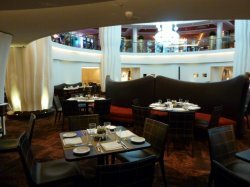 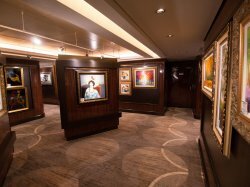 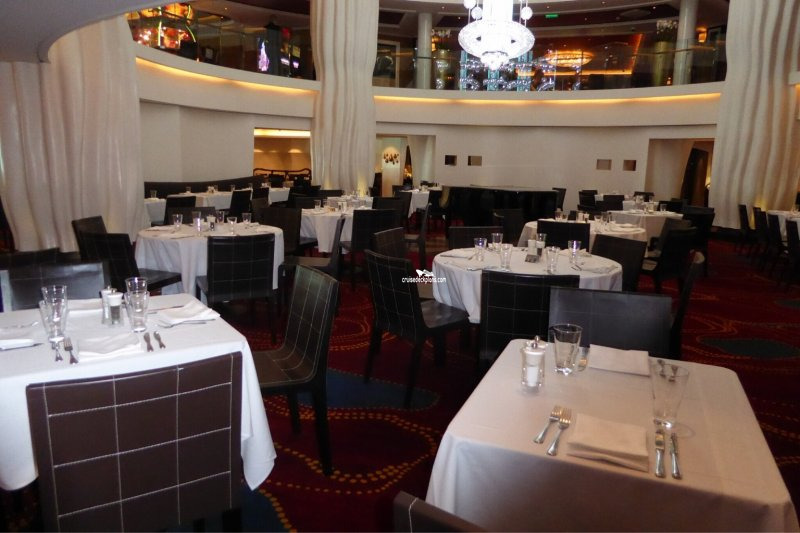 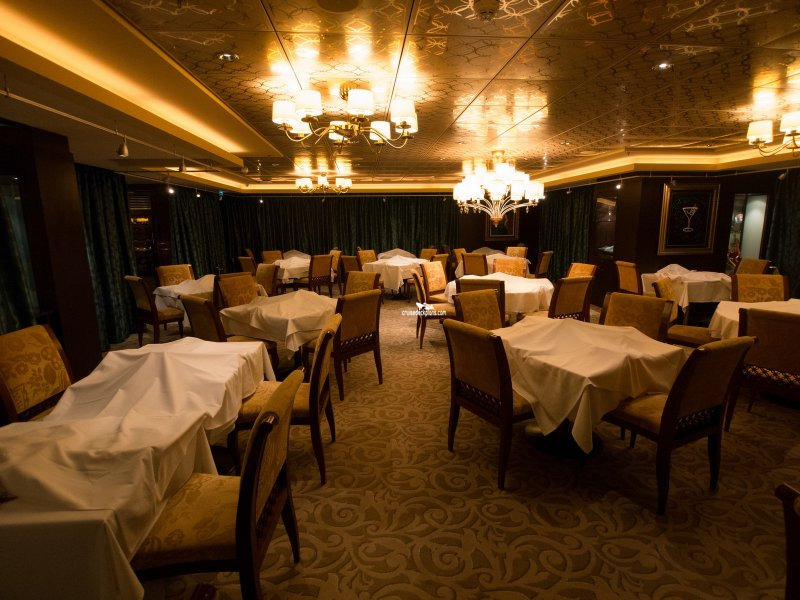 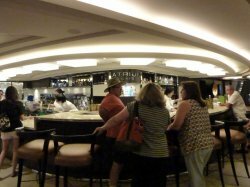 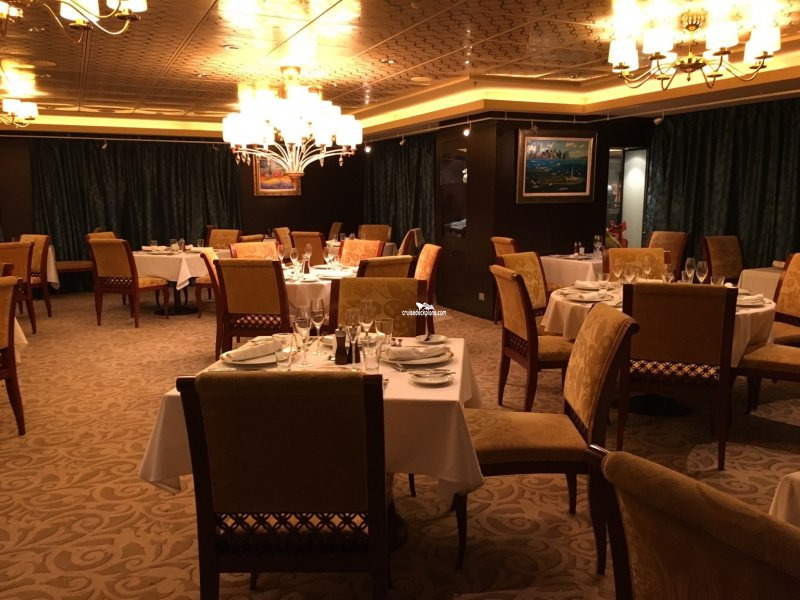 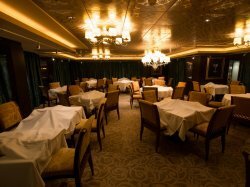 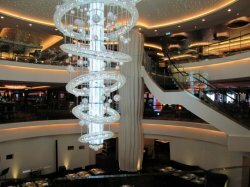 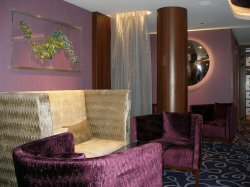 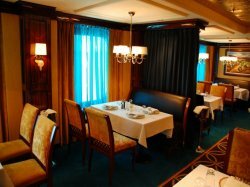 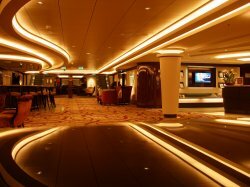 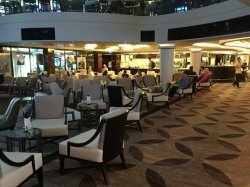 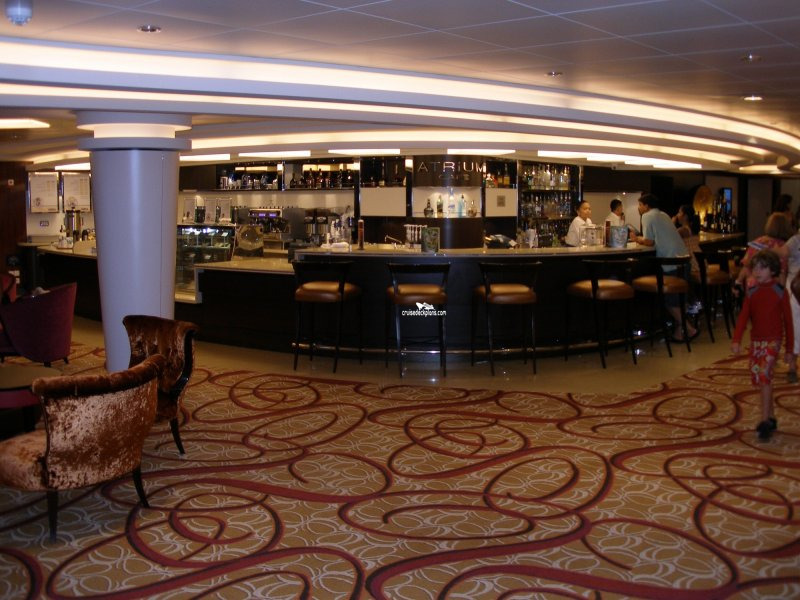 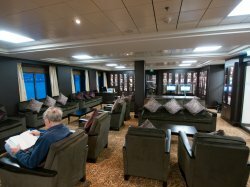 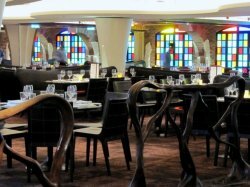 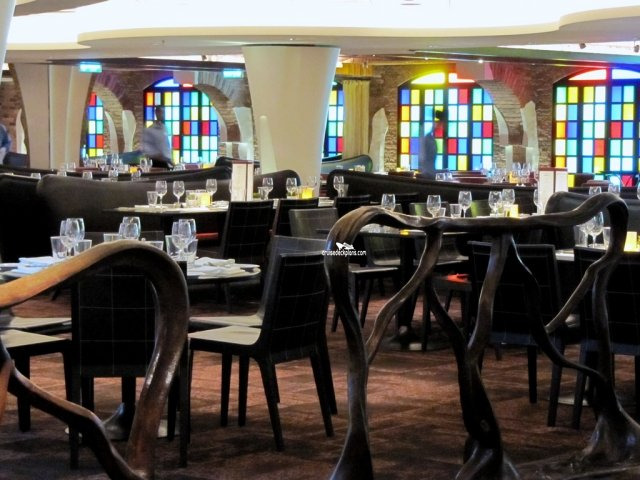 The ship's additional charge reservation only French dining option with paintings adorning the walls and serving both modern classical and contemporary French fare. 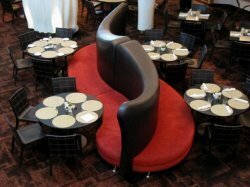 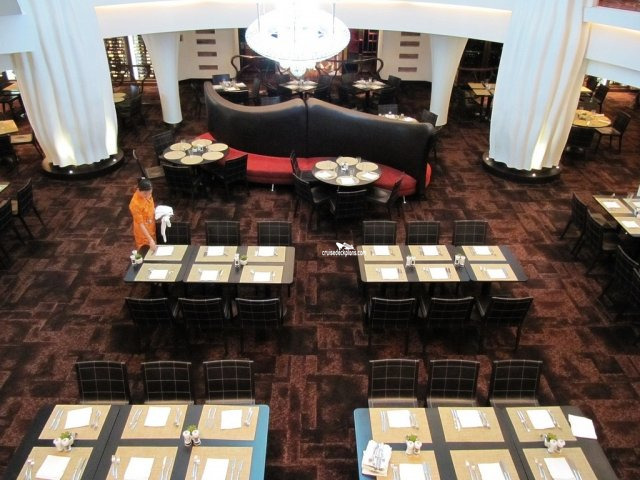 Open from 5.30pm to 10.30pm, a cover charge of $20 per person applies to this 86 seater restaurant. 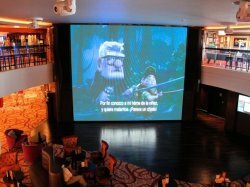 Used for a variety of entertainment from Family Nintendo™ competitions on the giant two deck high screen to movies, food demonstrations and Family Circus Skills workshops. 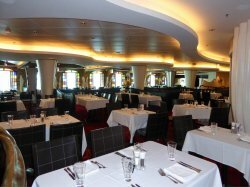 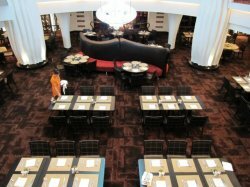 Epic's second main dining room seating 534 guests and open for waiter served breakfast between 7.00am and 9.00am, lunch from 12.00pm to 2.30pm and dinner from 5.30pm to 10.00pm. 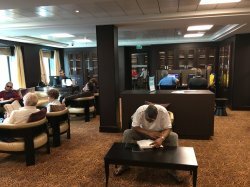 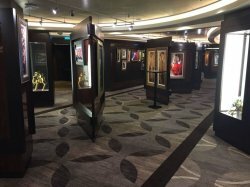 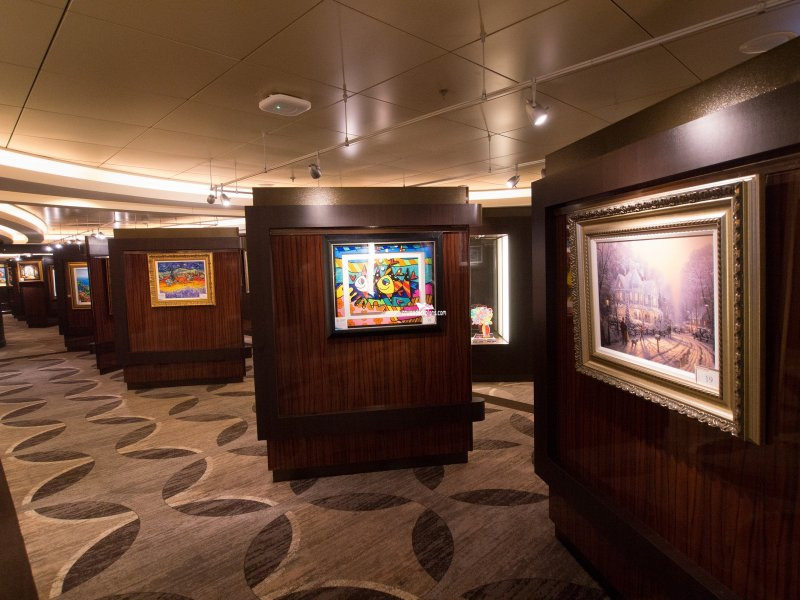 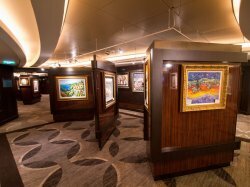 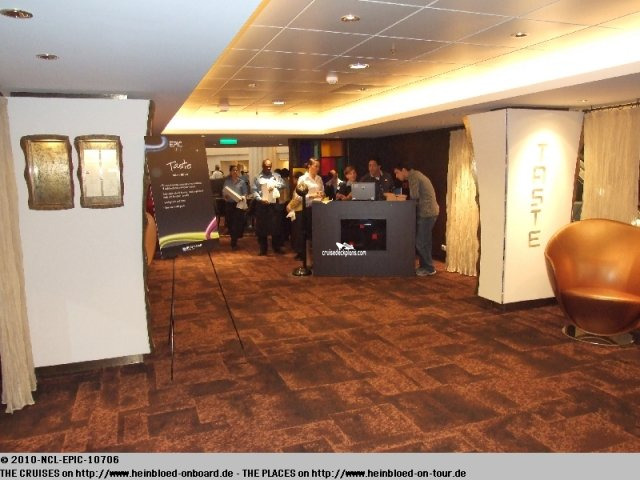 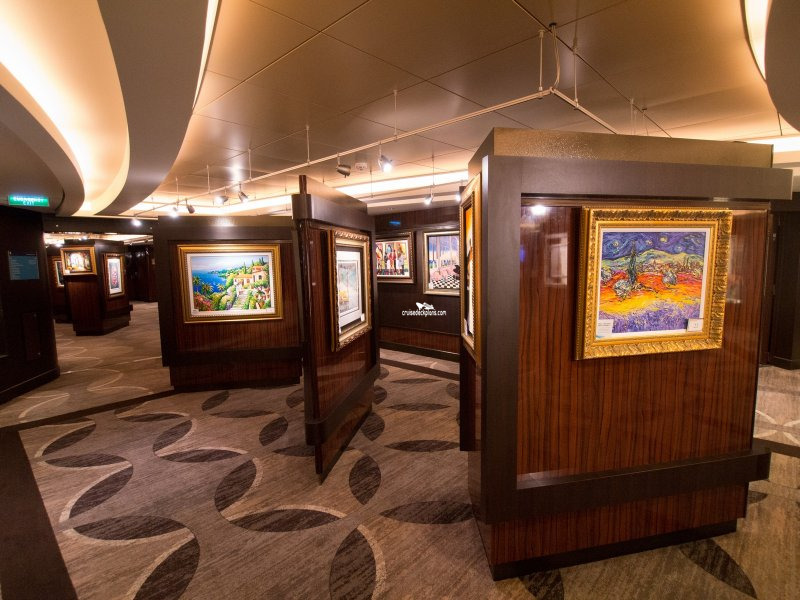 Features a selection of artwork by a wide range of well known artists for guests to view with a complimentary Champagne art auction being held during the cruise providing the opportunity to purchase some examples. 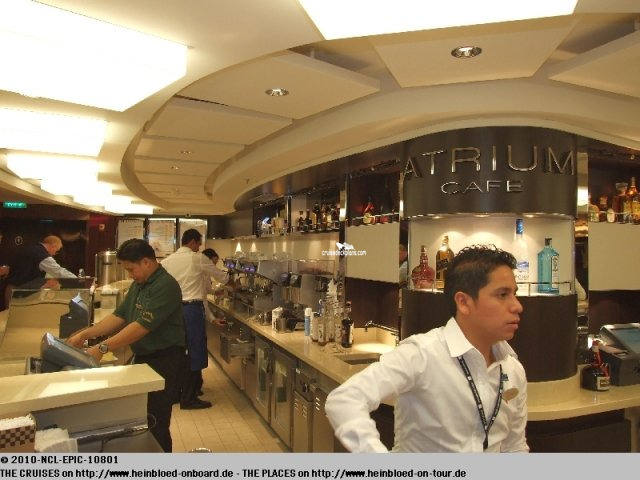 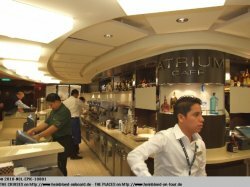 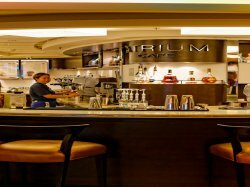 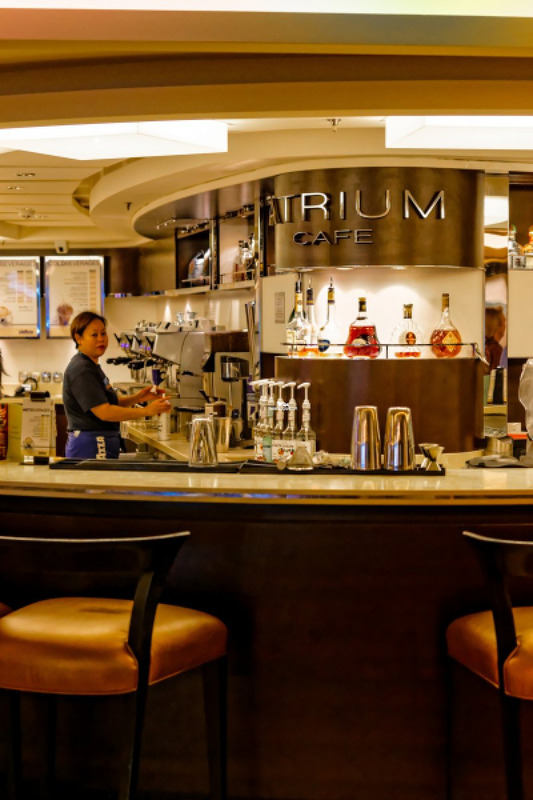 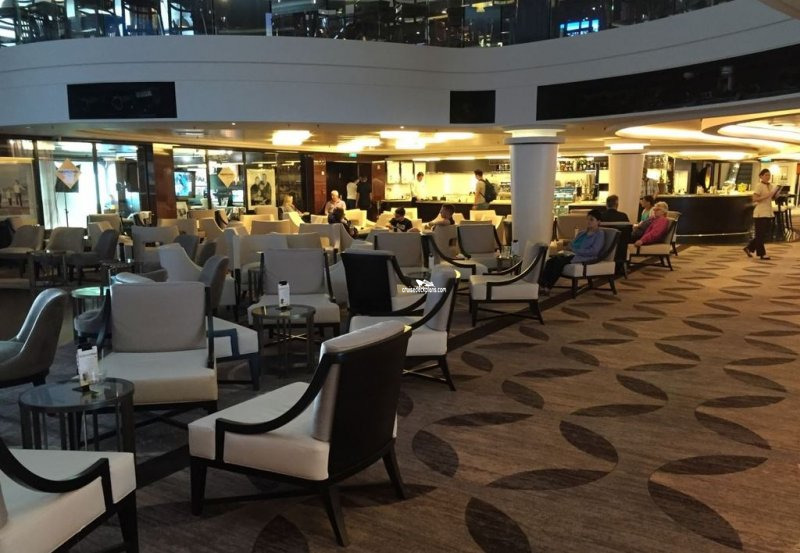 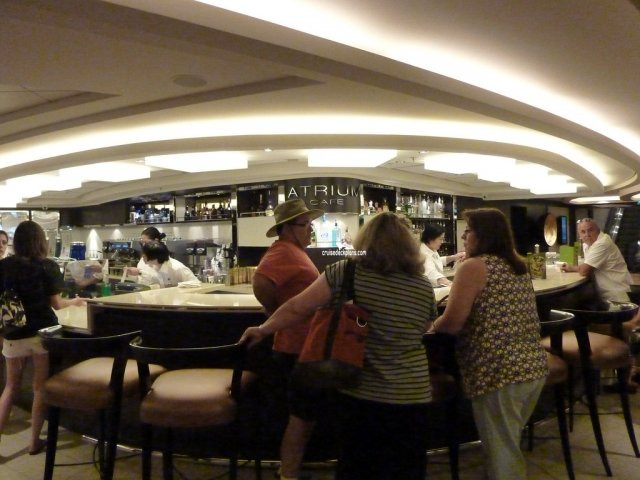 Cafe located in atrium serving specialty coffee and pastries. 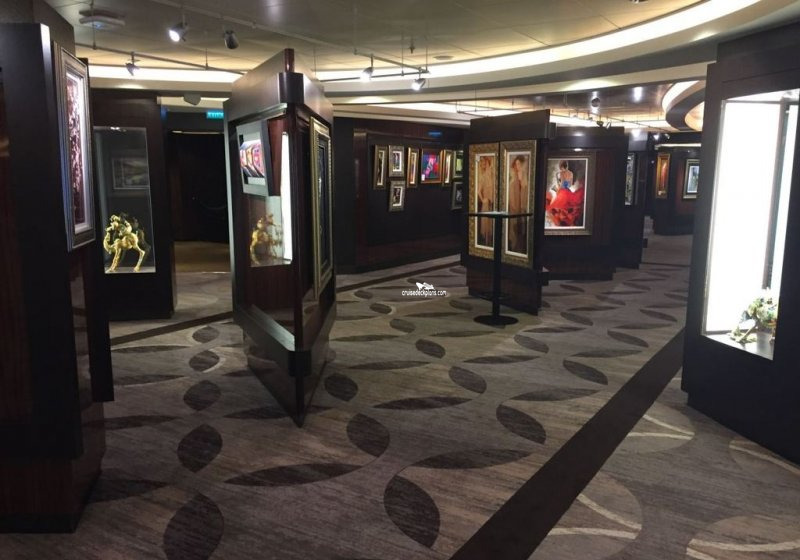 Photo machines that display photos taken by ships photographers. 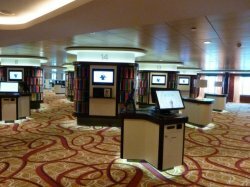 Internet cafe open 24 hours. 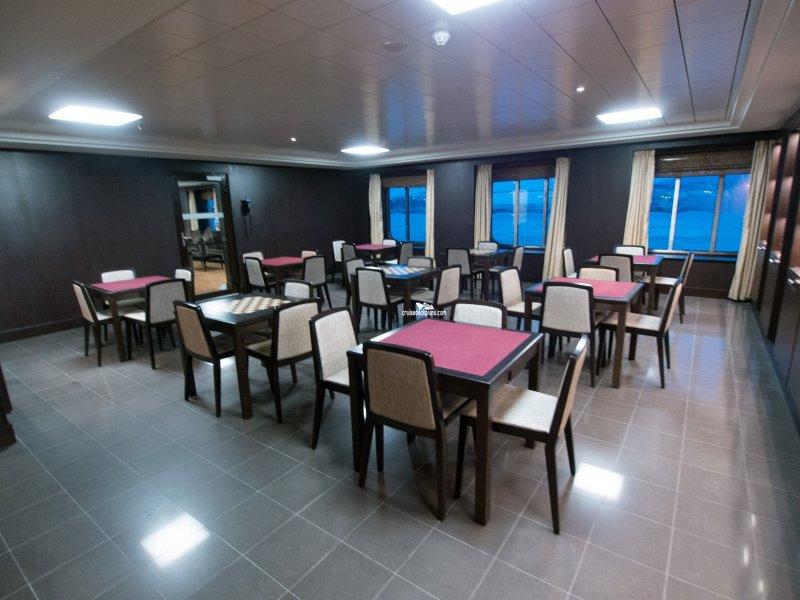 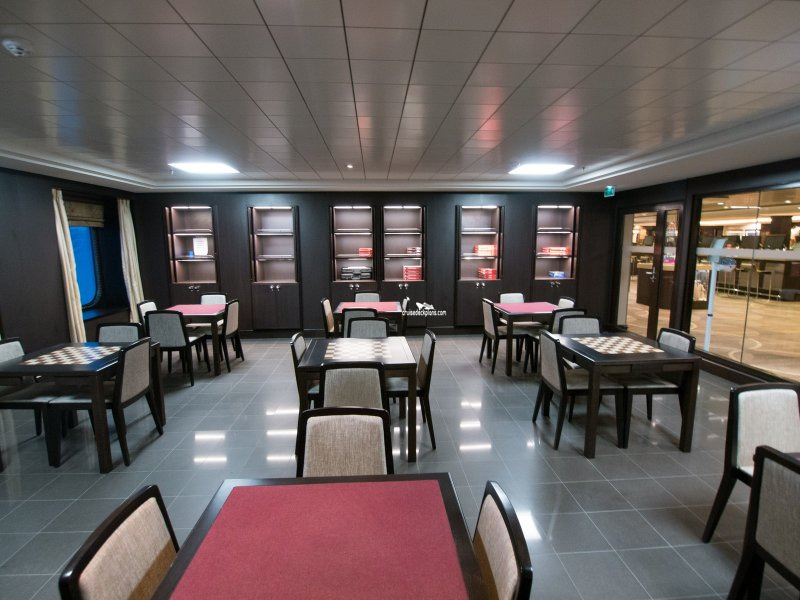 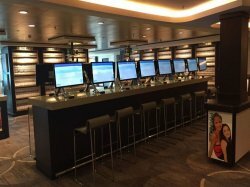 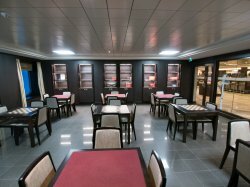 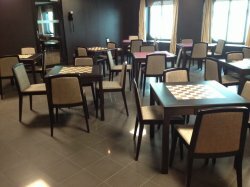 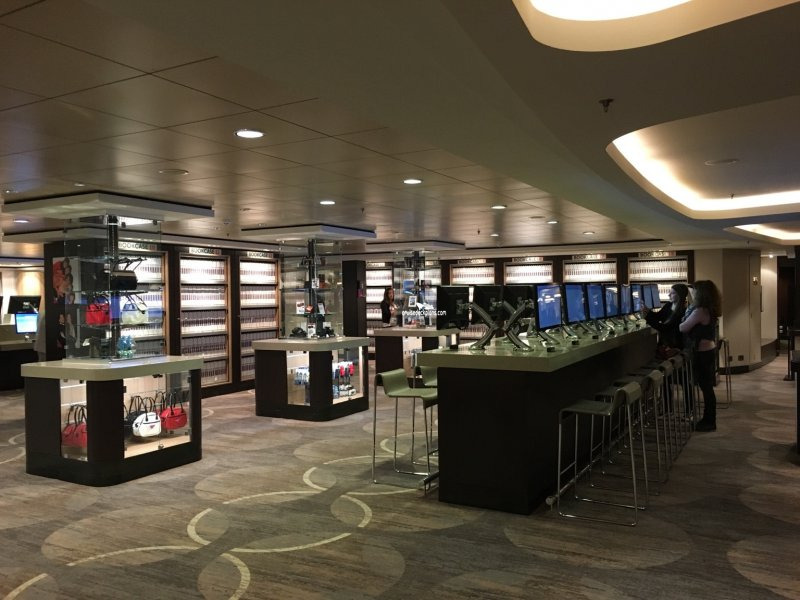 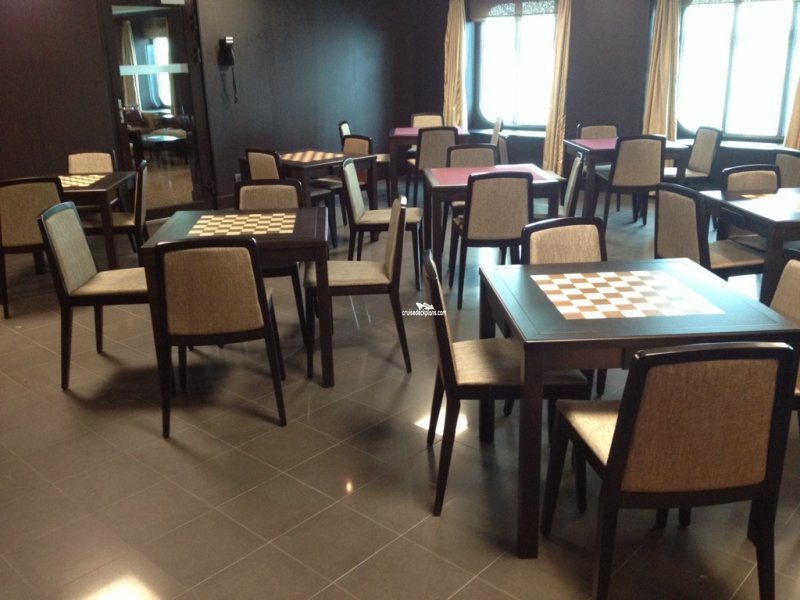 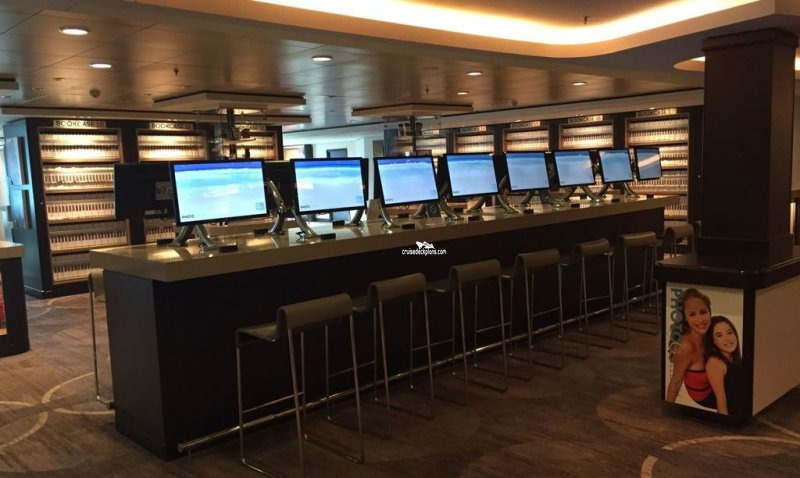 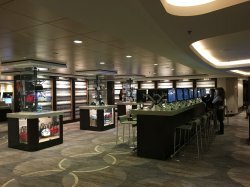 Also has books to borrow and a card room.